In the first season, the Baku-Pod was used by the brawlers to assess the statistics of the brawl. It is worn like a watch on the wrist. It also shows the rankings of the brawlers. 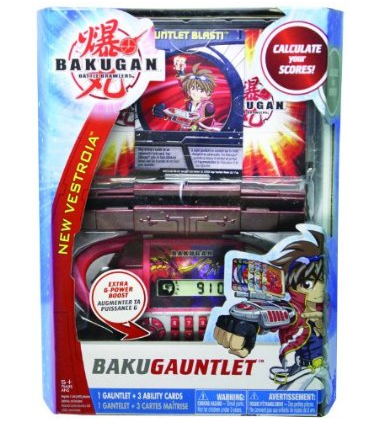 The BakuGauntlet was shown on the second season of Bakugan, the Bakugan Battle Brawlers: New Vestroia. 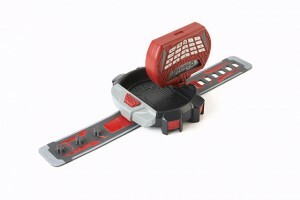 It is designed like a bracelet wherein you strap it to your wrist and use it by launching your Bakugan cards and check your Bakugan's state and power levels. It is apparent that the BakuGauntlet is essential in battling in New Vestroia, as it is needed in activating cards, checking out who is in the battle, and it also shows the life gauge of the players. In episode 26 of the New Vestroia arc, it is shown that the BakuGauntlet also has the ability to bring out an energy beam shaped like a sword. The BakuGauntlet released initially, during the New Vestroia season, included the gauntlet and 3 Ability Cards. 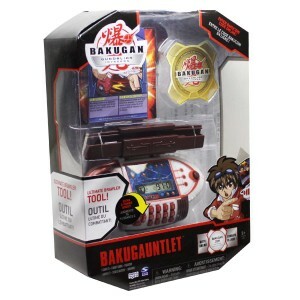 In 2010, when the third season Bakugan Battle Brawlers: Gundalian Invaders came out, the BakuGuantlet was repacked into the standard GI packaging. It also now includes a BakuCoin along with the gauntlet and the 3 Ability Cards. 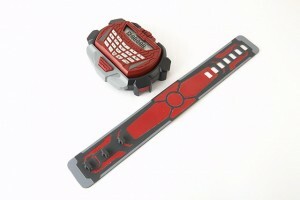 The BakuCoin is used as the currency in Bakugan Dimensions. 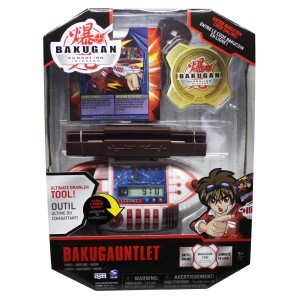 The BakuGauntlet may have been repackaged, but it is no longer used in the third season, as shown in the animated Tv show. 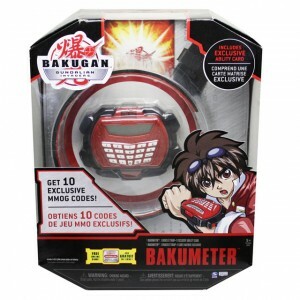 Season 3 uses the BakuMeter, which is more improved as it can project a synthetic Bakugan and Battle Gear. 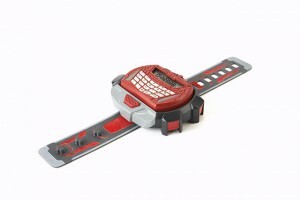 In the latter part of the Tv series, the Brawlers and the Neathians wear suits that have a built-in BakuMeter. 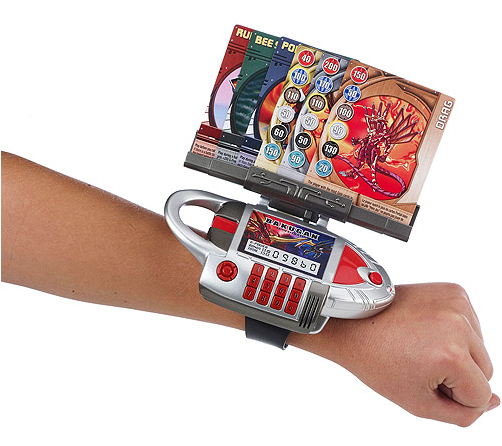 In Dan's case, his BakuMeter also has projections of Mobile Assault and Dragonoid Colossus.